The AQAP has taken advantage of the Saudi-led military campaign , backed by the US, and the resulting chaos in Yemen to tighten its grip on the southern parts of the Arab country. 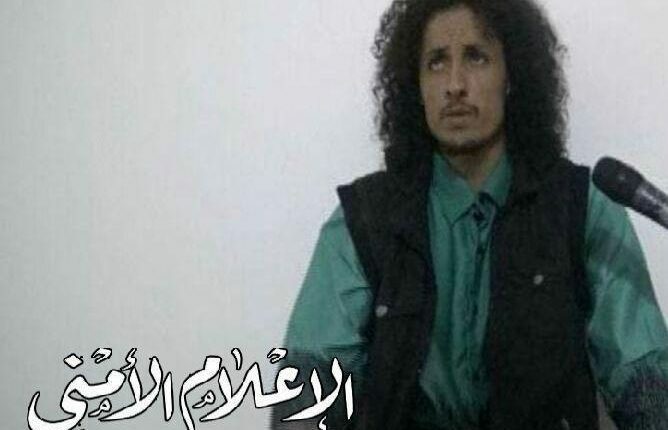 Video footage released on Sunday by the Security Center of Yemen’s Ministry of the Interior show Majed Mohammed Farhan Ahmed Mohamed Ali, one of al-Qaeda’s leaders in Taiz province, after he was arrested by Yemeni forces days ago. He has made serious confessions about the organization’s relationship with the Saudi-led coalition and the armed paid fighters in the city of Taiz.The Al-Qaeda leader said that he was involved in several of al-Qaeda terrorist operations, including executions, floggings, assassinations and armed robberies against banks and shops.On Friday, the Yemeni Security Media Center broadcasted a video confession of four al-Qaeda members arrested by security services in Al-Bayda province on March 13. Qatar’s envoy to the USIn an opinion piece published by The Washington Post on Wednesday, Sheikh Meshal bin Hamad Al Thani said Riyadh and Abu Dhabi are busy cutting deals with al-Qaeda terrorists operating in Yemen instead of making efforts to restore peace to the Arabian Peninsula state and end the humanitarian crisis of their own making there. The senior Qatari diplomat based his remarks on an investigation by the Associated Press, which blew the lid off the secret collaboration between the Saudi-led coalition waging war on Yemen and the al-Qaeda terrorists active there. Led by House Foreign Affairs Committee Chairman Eliot Engel, New York Democrat, the lawmakers in the letter expressed deep concern about recent reports that Saudi Arabia and United Arab Emirates (UAE) may have transferred United States weapons to the extremist groups. The bipartisan group of Committee members said that according to a CNN investigation, which aired on February 4, 2019, Saudi Arabia and the UAE have made unauthorized transfers of US origin weapons and equipment to extremist groups in Yemen fighting as belligerents in the Yemeni civil war. The materiel reportedly was transferred in an attempt to buy loyalty of armed groups, bolster specific armed factions, and influence the political landscape in Yemen. It is particularly alarming that multiple media reports link some of these Yemeni proxy groups to Al-Qaeda. It further said that the Riyadh-led alliance had recruited hundreds of al-Qaeda elements. The US, the report said, was aware of Saudi Arabia’s collusion with the militants and held off on the drone attacks purportedly targeting them. “Elements of the US military are clearly aware that much of what the US is doing in Yemen is aiding AQAP (Al-Qaeda in the Arabian Peninsula) and there is much angst about that,” said Michael Horton, a fellow at the Jamestown Foundation, a Washington-based think tank. Abdel-Sattar al-Shamiri, a former adviser to Ta’izz’s governor, said he had told pro-Hadi commanders not to recruit al-Qaeda militants. “Their response was, ‘We will unite with the devil in the face of Houthis,’” he said. The AP report further said Adnan Rouzek, a pro-Hadi commander, who has an al-Qaeda figure as his closest aide was recently given $12 million by the ex-Yemeni president. The analyst Lendman highlighted the fact that the United States is using Saudi Arabia as a “proxy force” in Yemen. Therefore, he said, maybe the US raids are intended to go after the Houthi fighters, because it does not make sense that Washington targets al-Qaeda terrorists who are being used by Saudi Arabia in Yemen. “I do not think a lot of the people in the United States even realize that United States is actually bombing Yemen. They think that the United States is simply supplying arms to Saudi Arabia, but the fact is United States is actually in there bombing people themselves with these drone strikes,” Max Igan said. Elsewhere in his remarks, Igan criticized the Western media for not reporting anything about the war and the dire humanitarian situation in Yemen.